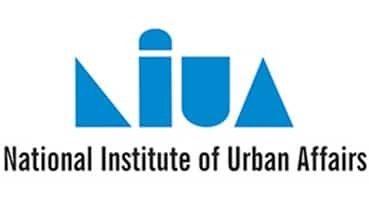 The City We Need Photo Contest 2015 is being organized by National Institute of Urban Affairs (NIUA) in association with UN Habitat & Urban Thinkers Campus. The photo contest is to build and document comprehensive and diverse perspectives that celebrate the idea of Inclusiveness in Indian Cities. The Theme of the Photo Contest is No one is left behind. The City We Need Photo Contest 2015 is open for all Indian citizens and there is no entry or participation fee. The First & Second winner of the NIUA Photo Contest 2015 will get cash prize of Rs. 20,000 & Rs.10,000 respectively at NIUA Urban Thinkers Campus, India Habitat Centre, New Delhi on October, 08, 2015. The entries for Photo Contest can be submitted by October 05, 2015. Nationality: The participant of NIUA The City We Need Photo Contest 2015 needs to be Indian citizen. First Prize: The winner of the first prize will get cash prize of Rs. 20,000. Second Prize: Cash prize of Rs. 10,000 will be offered to the winner of Second Prize. Application Form: The application form can be filled by visiting the official contest website. The applicants can upload their entries using the same application form. >> Click here to fill the application form. Number of Entries: Each participant is allowed to submit maximum 5 entries. The Submission needs to be accompanied by brief description of the concept or the theme of the photograph. Result: The result will be announced on October 08, 2015.